Publisher Synopsis: Only the living can make the world better. Live and make it better. Jewell Parker Rhodes’ tugs at her reader’s heart from the first page. Her unforgettable novel enlightens readers and helps them deal with the racial prejudices and tensions that continue to exist in our society. It is a current story about a black boy being shot by a white police officer out of fear and prejudice. The chapters alternate between “Dead” and “Alive,” so readers experience Jerome’s untimely death and the impact it has on his family, the police officer’s family and the community. The “Alive” chapters give readers a sense of Jerome, his family, and school life before the shooting. Jerome narrates the story as the “ghost boy.” Jerome is a good student who does well in school and has dreams for his future. He is loved by his family and idolized by his little sister. He is kind, responsible and walks his sister to and from school, making sure she isn’t harmed along the way. Jerome is bullied at school by three boys, but doesn’t tell anyone. He befriends a Latino boy, Carlos, who is also being bullied. After his death, Sarah, the daughter of the police officer, is the only one who can see the ghost boy. Through Sarah readers are able to see how Jerome’s untimely death upsets both families, even her relationship with her father. Sarah represents hope in this story. Jerome meets another ghost boy, Emmet Till, who was unjustly killed in 1955. I like how Rhodes’ connects the historical past of Emmet Till with the present, deftly showing that racial injustice continues. There are many other ghosts boys that appear to Jerome. They share one thing in common, they were robbed of the opportunity to grow up and live. 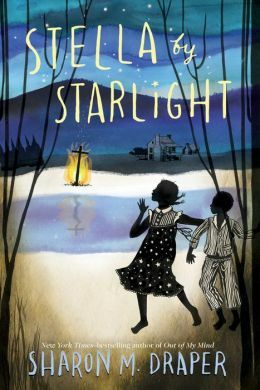 Jewell Parker Rhodes is the author of Ninth Ward, a Coretta Scott King Honor Book, Sugar, winner of the Jane Addams Children’s Book Award, Bayou Magic, and Towers Falling. She has also written books for adults. Resources: Make sure you read the author’s Afterword that provides a little history. And there are 16 Discussion Questions, that will encourage dialogue among students in the classroom and with family members. Recommend parents read this age-appropriate book. Visit Jewell Parker Rhodes at her website. Synopsis: Sylvia and her two brothers moved with their family to a farm near Westminster, California. Her father, a field-worker, finally got a lucky break to lease a farm and be his own boss. Sylvia was excited about starting a new beautiful school as a third grader. When they went to enroll at the school, her parents were told their children couldn’t attend the white school. They had to enroll in the Mexican school. Sylvia was confused because she wasn’t Mexican. She was an American citizen and spoke perfect English. Was she banned because she was brown, had dark hair and her last name was Mendez? That fall Sylvia and her brothers attended the small run-down, inferior Mexican school where the teachers didn’t care about teaching. The school was surrounded by a cow pasture. There was no beautiful playground, just dirt. And, there was no place for the children to eat their lunch. After approaching the school board with no success, Sylvia’s father, Gonzalo Mendez, began to organize an association of Mexican parents. They filed a lawsuit against the school district to integrate the schools. Sylvia Mendez and her family helped bring an end to segregation in California, which led to the 1947 Supreme Court ruling for equality for all children in America. Duncan Tonatiuh’s compelling book brings Sylvia’s important story to life in a manner children will easily understand. 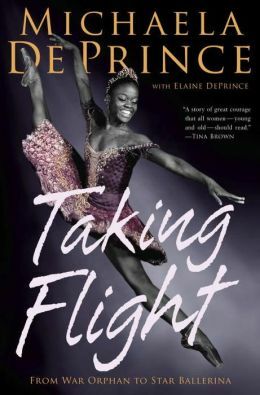 He cleverly weaves Sylvia’s inspiring story with factual information. The text also includes Spanish words and phrases. I especially like how Sylvia’s story shows children that they can make a difference in their communities, country and world. Tonatiuh’s bold and unique illustrations are done in muted tones with a Latino flare. They significantly contribute to Sylvia’s story and emphasize the theme of separatism and inequality. The cover is magnificent! I was surprised to discover that the movement to desegregate schools for children of all ethnicities and races began with Latino children in the 1940s with Mendez vs. Westminster School District. There would be no “Brown vs. Board of Education” Supreme Court ruling without Sylvia’s original lawsuit. This book belongs in every school library. Children read a lot of books about the civil rights era, so it is important to introduce this important piece of Latino history into Black History month. Resources: The author includes detailed information at the end of the book from court files, newspaper accounts and update information and photos of the real Sylvia Mendez, who received the Presidential Medal of Freedom from President Barack Obama in 2011. 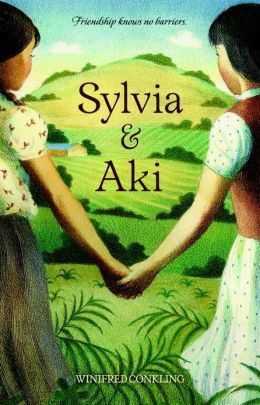 For tweens, parents may want to check out a middle grade novel, Sylvia and Aki, which is a more in-depth story about Sylvia and her relationship with Japanese-American girl, who has been sent to an internment camp. 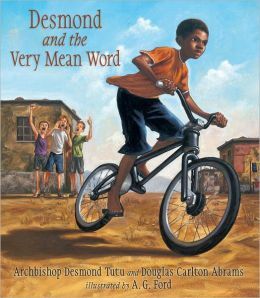 Jacket Synopsis: When Desmond takes his new bicycle out for a ride, his pride and joy turn to hurt and anger when some boys shout a very mean word at him. No matter what he tries, Desmond can’t stop thinking about what the boys said. With the wise advice of kindly Father Trevor, Desmond learns an important lesson about understanding his conflicted feelings and how to forgive. Why I like this book: This heartfelt story is based on a true-life story from Archbishop Desmond Tutu’s childhood in South Africa. Like many African children, Tutu is bullied and words of hatred shouted at him by other boys. He is angry and after several incidents, he turns and shouts the meanest word he can think of. At first he is proud of himself, but later feels shame good over his actions. I really think it’s important for children to know how a Nobel Peace Prize winner comes to terms with issues that are still relevant today. Desmond finds that forgiveness is the only way to free himself from his anger. This is a very important step for the young Desmond — for all children. The author focuses on his feelings instead of sounding preachy. Ford’s stunning oil paintings powerfully depict Desmond’s early life in South Africa and capture the emotion of the characters. Resources: Archbishop Tutu has a forward about the story and a backpage of history about his relationship with Father Trevor. Tutu has spent his life bringing equality, justice, and peace to South Africa. 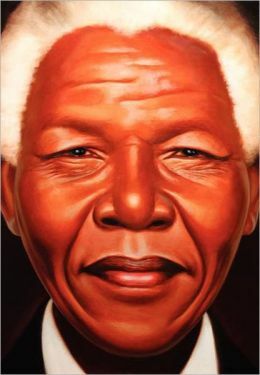 He continues to be a leading spokesperson for peace and forgiveness. Candlewick Press has prepared a Teacher’s Guide for use with the book in the classroom. Synopsis: Two third-grade students are caught up in the fear that engulfed our country during WW II. Aki Munemitsu and her family are Japanese American citizens who own an asparagus farm in Westminster, CA. When war breaks out they are sent to an internment camp in Poston, AZ. Sylvia Mendez and her family rent the home vacated by Aki’s family and run the farm. Sylvia discovers a Japanese doll hidden in the back of her closet and wonders about the girl who owns it and her life in the camp. Sylvia is excited about attending Westminster School, until she is not allowed to enroll in the town school and told that she must attend the run-down Mexican School across town. Like Aki, Sylvia faces a fear of a different kind — the fear of racial integration in America. Both girls face discrimination. Sylvia and her father challenge the school district in California court system. Their landmark case eventually ends school segregation nationally. Why I like this book: This is an important story to tell because of the fear that pervaded our country during WW II and the social injustices that occurred. 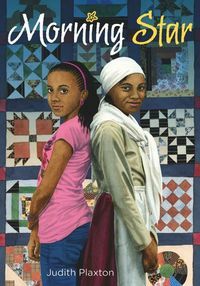 Winifred Conkling has written a touching and true story about the lives of two girls who question their identities as Americans, their own self-worth and come to grips with the prejudices of the country they love and call home. The author writes their story in alternating chapters, which fit together very nicely and focus on race relations in America at that time. Both girls were strong, determined, brave and stood up for what they believed. This is a great discussion book for the classroom. The story of Sylvia and Aki fits in nicely with the theme of International Day of the Girl Child on October 11 which is a day “to recognize girls’ rights and the unique challenges girls face around the world.” Sylvia challenged the California court system laws on segregation. I will review a picture book related to this special day on Friday. Resources: The author opens with a note about word choice and the terms used in the 1940s. There is a lengthy afterword about the Mendez and Munemitsu families, and a discussion about segregation in America. The girls are close friends today. Please visit Winifred Conkling at her website. There is a teacher’s guide for the book. Another important discussion would be about girl power. Encourage students to talk about what girls can do to help each other locally and globally. Talk about the differences in education for girls in first and third worlds.